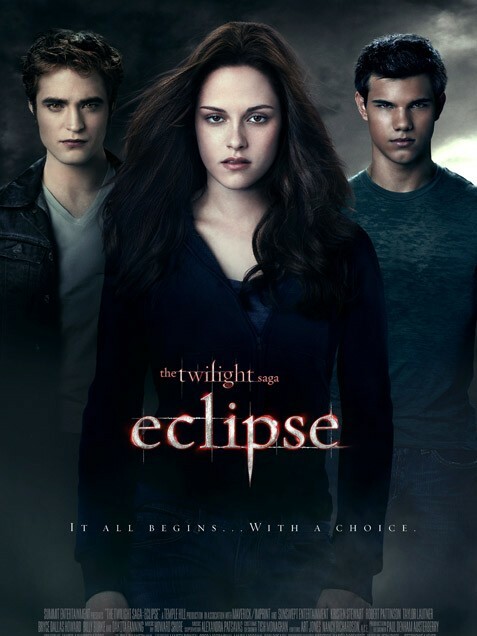 Thousands of fans are flocking into theaters to see “Eclipse,” and those fans will not be disappointed because it is easily the best movie in the the “Twilight” saga so far. The third installment continues the heavy use of character-driven plot lines that made the first two movies work so well. But it also has the added draw of being the first movie in the series to show the vampires and werewolves in full-out, no-holds-barred warfare. Century-old vampire Edward Cullen (Robert Pattinson), his human lover Bella Swan (Kristen Stewart), and Bella’s werewolf friend Jacob Black (Taylor Lautner) continue their love triangle, as Jacob decides to try one last time to win Bella away from Edward. And while Edward and Jacob fight over Bella, the Cullen clan faces threats from all sides, as enemies old and new return to make their lives difficult. The cast has hit their stride in this one. All the actors and actresses present relaxed, believable performances and work seamlessly with each other to bring the story to life. Pattinson and Stewart’s onscreen romance has finally left the anguished, insecure stage and moved on to a love that looks and feels natural. Lautner delivers a powerful portrayal of an angry man who loves a woman who loves another man. The special effects are nothing short of astounding. The effortless speed and strength of both vampires and werewolves is made to look real. It’s made to look as simple for them as breathing is for a human. This movie is strong enough to stand on its own, independent of its predecessors.